Small ship cruising around Australia and the South Pacific. Coral Expeditions is a 33-year-old Australian expedition cruise company operating a fleet of three small ships pursuing regions of Asia-Pacific. Coral Discoverer, Coral Expeditions I, and Coral Expeditions II make up an impressive fleet. Coral Expeditions II and Coral Discoverer have Zodiacs and glass-bottom boats. Every cruise features freshly prepared, fuss-free cuisine using local ingredients for high-quality dining. All dining rooms offer open-seat dining with no need to reserve a table. You can look forward to a delicious three-course dinner each evening from a table d’hôte menu. Most expeditions also feature a barbecue or dinner on a deserted beach or picturesque island. Your cruise will be a hive of activity, with options of snorkelling, scuba diving, private moorings, guided hikes, and much more. There will be plenty of opportunities for cultural interaction. For example, in the Kimberley and Top End of Australia, Coral Expeditions visits indigenous communities in Tiwi, Thursday Islands and so on. On board Coral Expeditions official language spoken is English. The dress code is casual and sun-smart, although at dinner collared shirts for men and nice blouses for ladies would be appreciated. Cruises on board are perfect for nature lovers and divers of all ages as the itinerary is focused on exploring the islands and reefs of Australia's World Heritage. 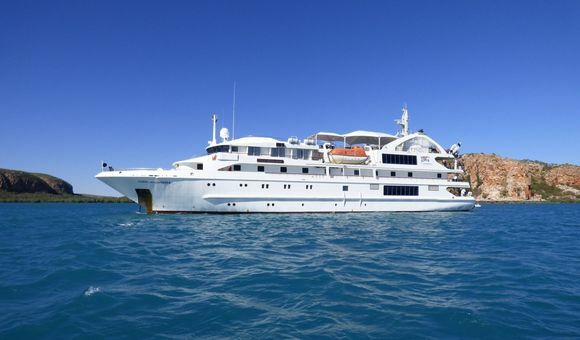 The Coral Expeditions I is the perfect vessel for touring the northern waters of Australia! You will visit Talbot Bay, cruise the Prince Regent and the Hunter Rivers and much more. Partake in excursions on Zodiacs that can take you to remote areas. Learn all about the area's unique flora and fauna with the ship's glass bottom. Hop on the Coral Expeditions II for this 5 day Australian adventure! Your journey will begin and end in Cairns. 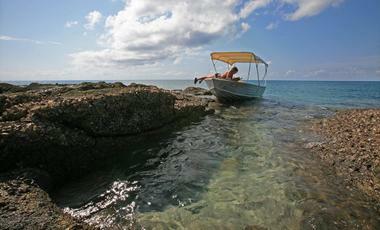 Sail along to Cooktown, Lizard Island and Ribbon Reef. There will be plenty of opportunities to go snorkelling. Coral Expeditions will provide all snorkelling equipment, masks and fins, so you can dive right into the action! 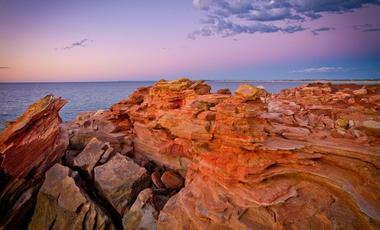 Start your 11 day Northern Territory adventure in Darwin and end up in Broome. Island hopping, river cruising and reef admiring are all on the programme. Enjoy visiting places like Talbot Bay, Montgomery Reef, Vansittart Bay and more. You will be stopping at a new place every day, so make sure your camera is charged for all the stunning photo opportunities. Come aboard this boutique catamaran, the Coral Expeditions I, and enjoy an intimate atmosphere. On this ships you can visit the most incredible and intimate locations all across Australia in the utmost comfort. Come on board the Coral Princess II where you can have a cosy yet action packed cruise. The ship is newly refurnished and has modern technologies and facilities on board, allowing you to get the most out of your cruise. The Coral Adventurer is the company's newest ship and designed to take you closer to the actions in comfort and style. Coral Expeditions Cruises’s modern fleet of three small ships really allows you to get the most out of a cruise around Australia and the South Pacific. The largest of these ships, the Oceanic Discoverer, accommodates just 72 passengers. This lends the vessels an intimate atmosphere and allows the ships to navigate the shallower waters surrounding the Great Barrier Reef and the South Pacific Islands. 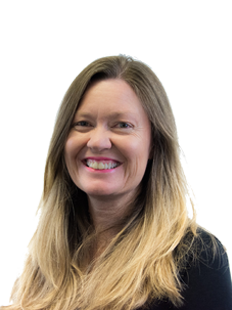 The staff on board all Coral Expeditions Cruises ships is comprised of friendly Australians and New Zealanders who are passionate about sharing their love for this area of the world with you. Have you ever wanted to explore the South Pacific? If so, this is the right cruise company for you. With Coral Coral Expeditions you can explore a vast array of vibrant destinations such as Papua New Guinea, the Soloman Islands and New Caledonia. You can follow in the footsteps of Captain James Cook on his voyage of discovery, taking in the delights of Cape York and the Arnhem Land. On any cruise with Coral Expeditions Cruises you will be able to see many natural wonders such as fjords, glaciers, thermal pools, geysers and tropical jungles. 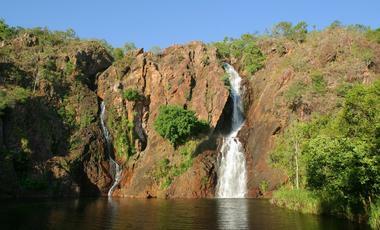 Or how about exploring one of the world’s last surviving wilderness areas, the Kimberly Australian Outback? And of course there will be time for snorkelling! The Great Barrier Reef is surely the most impressive underwater delights on the planet. Diving around this World Heritage-listed region will be one of the highlights of your trip. Coral Expeditions Cruises just want you to relax and have a good time but if you do fancy getting out and about, then they have a great range of shore excursions for you to partake in. They aim to fit in two every day, and they also provide two inclusive excursions with every cruise. These can range from meeting the locals and getting to know about their way of life to admiring paintings in a local gallery, snorkelling or even taking a helicopter flight over Kimberley’s four-tiered Mitchell falls. The great thing about Coral Expeditions Cruises’ ships is their size – the ability to access remote locations due to the vessels’ shallow draughts means that you will be able to sunbathe in peace on deserted beaches.